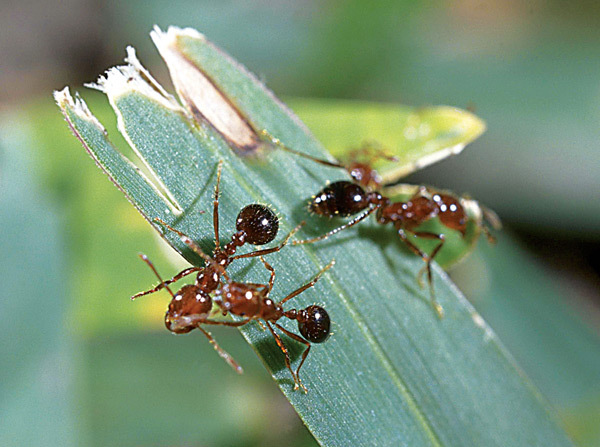 Use these tips to better control fire ants. 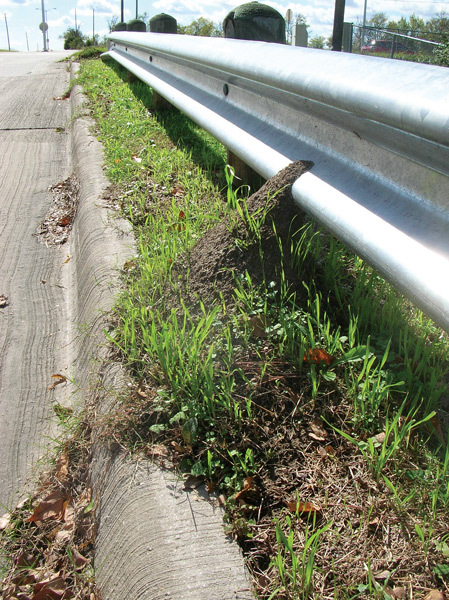 Fire ants are easily identified by the mounds they build. The above-ground portion of the mound is usually conical and can be a few inches tall and several inches across to as much as a few feet across. They can be found anywhere on a lawn or landscape. The insects tend to move down further into the ground when it’s dry. Mounding will occur after rain events because the ants try to raise their brood above the saturated soil to get away from the moisture. A fire ant colony established in June could contain 15,000 insects one year later. A mature colony of three years may contain 100,000 to 500,000 workers and several hundred winged forms. You can determine if fire ants are active by putting out a piece of greasy food and checking it 30 minutes later. Fire ants prefer open, sunny areas found on lawns, though you can find fire ant mounds in any area of a lawn. The size of the mound depends on the lawn’s soil characteristics and how frequently the mound is disturbed. There are several different species of fire ants — the red imported fire ant and southern fire ants chief among them — but the species of ant doesn’t make any difference in control method. If you’re walking lawns and laying down fertilizer, always be cognizant of fresh fire ant mounds. Spraying insecticide on foraging ants will not control a colony, and spraying a nest may cause the colony to disperse, which could make control even more difficult. Treat the mounds either with liquids, granular products watered in over the top of the mound or bait control. 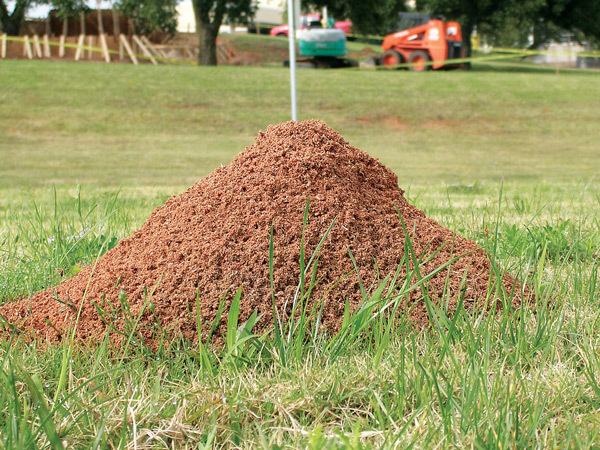 Digging up mounds typically results in the movement of nests or dispersal of the fire ant mound. A granular or liquid broadcast program provides good residual and potentially preventive control for fire ants. In the case of a new queen flying in from a neighboring yard, the broadcast treatment should be able to stop the queen fire ant from starting a fresh colony. For lawns with a wide infestation, broadcast treatments are ideal, and a technician can spray larger mounds with additional applications of insecticide. For direct mound treatments, technicians should treat the area 1 to 2 feet outside the mound. Whatever they’re using to treat the mound, technicians should be sure to use enough force to break the apex of the mound to get the material down into the mound itself to kill the insects. Unless the apex of the mound is broken, fire ants will simply move the mound away to avoid the insecticide. Sources: Brian Mount, insecticide technical service manager, FMC; Bayer Green Solutions Team.